The Ozerna home sale price per square foot continues to float in the $230 to $250 per square foot range. The last 2 quarters of 2012 were weaker for the Ozerna area. 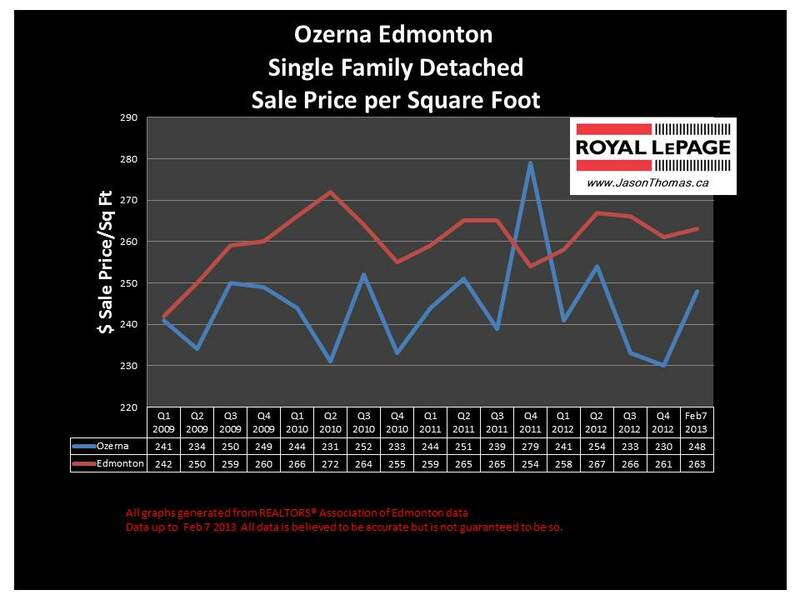 So far in 2013, the Ozerna real estate market is strengthening on a selling price per square foot basis. The highest sale price for a home in Ozerna in 2012 was $740,000. The most affordable home in Ozerna sold for $330,000 last year. The average time to sell a home in Ozerna in the last 90 days has been 54 days. That is pretty close to the Edmonton average days on market of 58 in the same time frame.